Moving your office to another metropolitan area or another city altogether is a demanding process, which requires specialised assistance and professional expertise, unless of course you are happy to be navigating your way through traffic filled city streets in a cargo van full of expensive office equipment and machinery. Not to mention the time, resources and effort you need to invest in organising the removal properly and completing it on time. 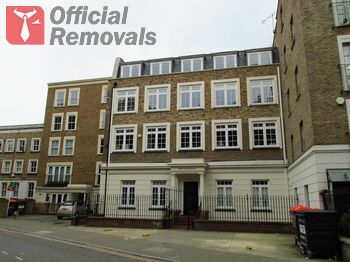 If this sounds to be too much hassle, or running your business effectively for the time being is a priority, then perhaps it is time you secured professional office removals in Hackney and ensure the entire office removal goes according to plan and schedule. We know office removals inside out, since we have been an active part of the industry for long enough to be aware of what customers expect of top quality office relocation service that is worth their time and money. Our technical expertise, dedication and professionalism are unrivalled, and we strive to excel on all jobs, no matter how complex or elaborate. Our specially trained, professional movers are the ones who make it happen every day, as they have the skills and qualification to handle all aspects of your office relocation safely and efficiently. We can proudly say that working with dedicated professionals has put us miles ahead of the rest, as we can do things better and ensure lower service costs, and avoid damage or misplacement of expensive office equipment and furniture. In order to ensure safe handling and damage-free transportation, our mover teams will deal with packing, securing and loading of your office contents as they know how to do this right. With us, your items and equipment are in good hands, literally, as we will do our best to have everything delivered timely and intact. We offer the most affordable office removals in Hackney as our service prices are reasonable and we provide customers with fair, individually prepared service quotes which aren’t burdened by unmentioned fees or unexplained additional charges. We have excellent short notice availability and provide for punctual week round servicing.